BOULDER, CO, October 16, 2018 /24-7PressRelease/ — In Perth, Australia, hundreds of people gather in the streets to sing popular songs together. In the United Kingdom, mass karaoke breaks out in pubs from London to Liverpool. Beer choirs are springing up across the United States. Thousands of people are coming together in spontaneous choirs to sing songs in Toronto and Tel Aviv. Over 200,000 Belgians gather in cities each summer to belt out songs, from ABBA to the Beatles. And every year on the third Saturday in October people around the globe come together to sing on World Singing Day and celebrate their common humanity. There’s a musical movement happening, and it has nothing to do with competition or performance. It’s something our ancient ancestors used to do around the fire. More and more people are gathering again to sing together and experience that connection to one another that modern man has lost over time. This year, people in over 40 countries in over 200 cities will be singing together on World Singing Day, including large events in Yagan Square in Perth, Australia (over 1,000 people); in Kuala Lumpur, Malaysia (over 1,000 people led by girl scouts and students in a mall); and over 6,000 people at the Sweet Adelines international convention in St. Louis, MO. Why singing? Research has shown that group singing breaks the ice and forges social bonds quicker than anything else. Researchers have also found that people singing together not only harmonize their voices, they also synchronize their heartbeats. Participation on Oct. 20 can range from singing with friends and family at home to inviting the whole community to gather in the town center to sing local favorite songs. In Boulder, Colorado, for instance, hundreds gather in the center of the city, armed with lyric booklets, and sing along to the original recordings of songs, from the Beatles and Sinatra to current hits. Besides singing whatever songs are appropriate for their culture, people are encouraged to sing one or two of the same songs so global montage videos can be made afterwards. This year’s songs are “Ode to Song” sung to Beethoven’s “Ode to Joy,” and “From Now On” from the movie The Greatest Showman. 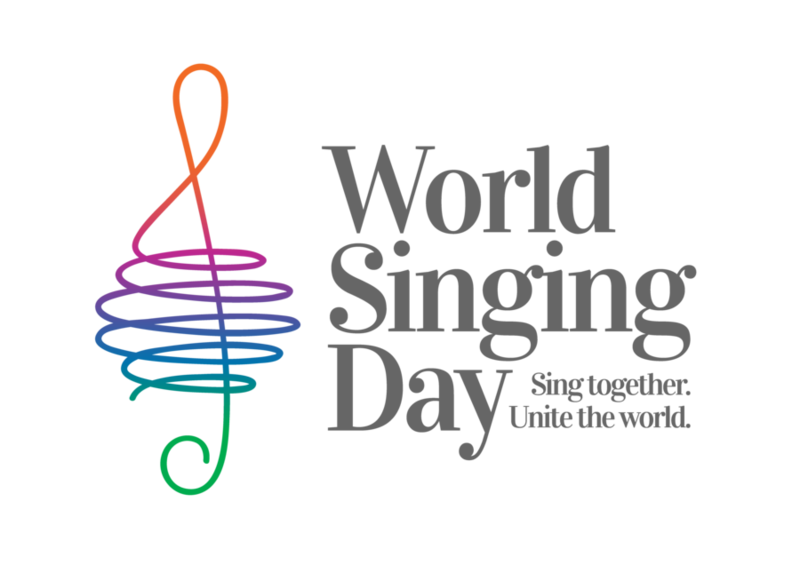 Music and other resources can be found on the World Singing Day website. World Singing Day is a global sing-along, held annually on the third Saturday in October. 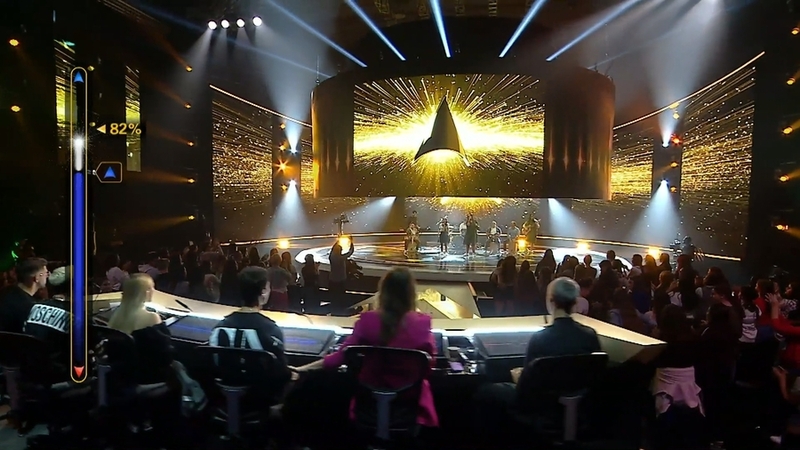 The event celebrates our common humanity, using the power of singing together to connect people and communities around the world. World Singing Day is not religious or political, nor does it promote any one country or culture. Rather, it encourages people to put aside their differences and celebrate what we all share as human beings. We invite people of all ages and backgrounds – from shower singers to celebrities – to sing with their friends, family, school, club, organization or community in October. Founded in 2012 in Boulder, Colorado, World Singing Day is a 501(c)(3) nonprofit organization.